Rensol, known by its peers to be a leading Oil and Gas and Engineering and Construction Recruitment Agency is victorious in entering and penetrating the Business Process Outsourcing Industry. 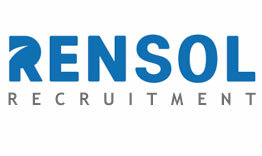 Rensol Recruitment and Consulting made its mark in the human resource and talent acquisition space by focusing and specializing in Oil, Gas, Chemical (O, G & C), Engineering and Construction recruitment. Supported by house accounts like Anel Group; Renaissance Heavy Industries (RHI); and United Masters Electromechanical (UME), and being the primary source of manpower for the now soon-to-be operational Qatar Rail Project to the recently completed Cherepovets PhosAgro Ammonia Plant to the initial construction of Amur Gas Plant, Rensol Recruitment and Consulting has been there. The Philippine operations has grown and evolved over the last 5 years, and they felt it was high time for a change. Extensive research, countless planning and execution were done by the Rensol team the past 2 ½ years and slowly but surely, they have been accommodating and establishing relationships in the other major business industries like Healthcare, Hospitality, Retail, Travel and Tourism, Manufacturing, and Aviation. In an on-going effort to maximize the best possible overseas job opportunities for Filipinos, Rensol also ventured into penetrating ancillary markets like Business Process Outsourcing. 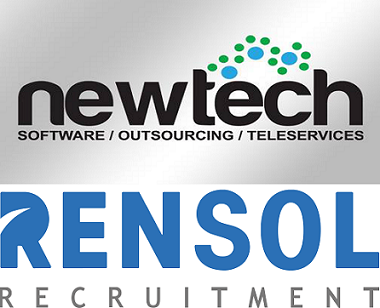 True enough, they have clinched their first BPO client in the form of Newtech SRL. The Dominican Republic based Outsourcing Giant is known to be the largest software and BPO in the country and one of the leading and most well known in South America. With Newtech CEO, Mr. Jose Luis Del Rio along with their Legal Department Head, Ms. Carmen Arias Sosa, the agreement between them and the fastest growing recruitment agency in the Philippines has been made. Rensol sourced, pin-pointed, and processed two executive posts for the Dominican principal for their South Korean Telecommunications client and both were successfully deployed last June 16, 2018. This marks the beginning of a whole new era for Rensol. Their strength in Engineering, Construction, Oil, Gas, and Chemical recruitment will remain, but expect better things as the fastest growing ethical recruitment agency connects with more principals in more industries providing more quality driven professional opportunities for more aspiring Filipino workers.